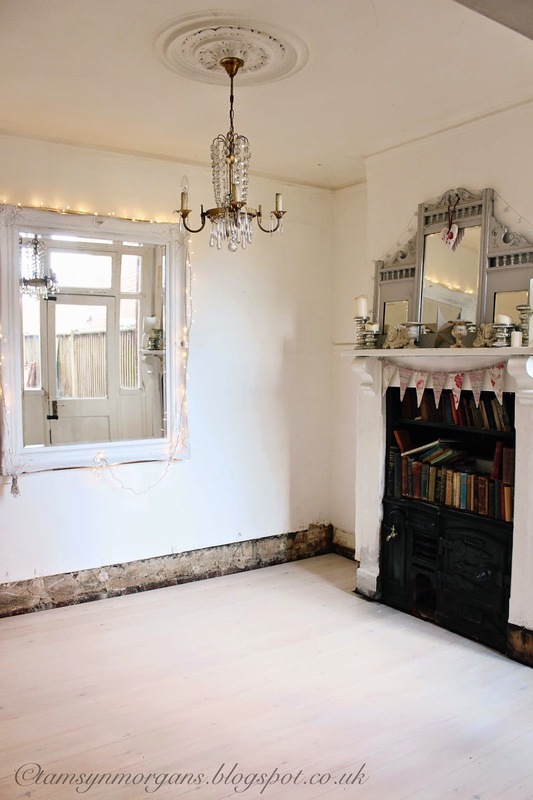 Just a very quick post from me today, but I had to share this sneak peek with you of my dining room – the builders exited stage left yesterday, leaving my bank account empty, but with the most beautiful new floor, which I’m completely in love with. I’m a little bit dazzled by the transformation, and have found myself stood gazing at it, planning where I’m going to put everything! The bottom picture was taken a few minutes after I got the keys back in January – the drab walls and dark floorboards sucked every bit of light up, but now the room looks lighter, brighter, and bigger. As you know, I don’t hang around, so I’ve just got the third coat of varnish down (my favourite Ronseal White Ash varnish). 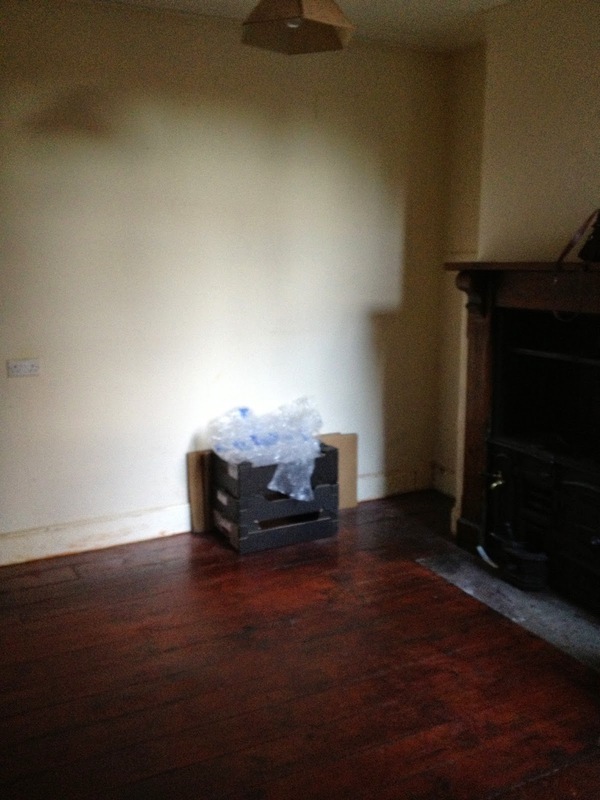 Skirting boards will have to wait a little bit, but I hope to get some furniture in there tomorrow. The beautiful old range in the fireplace is original, and I shall share some better pictures with you of it soon, as it’s such a lovely feature. The kitchen still needs a lot of work, but I’m hoping to get some of the floor varnished once I’ve moved the furniture out. Oh beautiful, so light and fresh! Its amazing the difference the lighter floor and the large mirror makes! Well done for getting straight on with the varnishing!